Pre-painted model kit for a 1:12 scale diecast Kawasaki KX 450F off-road motorcycle. The mix of diecast and plastic parts are easily assembled by hand, with everything necessary to complete this model found in the box. 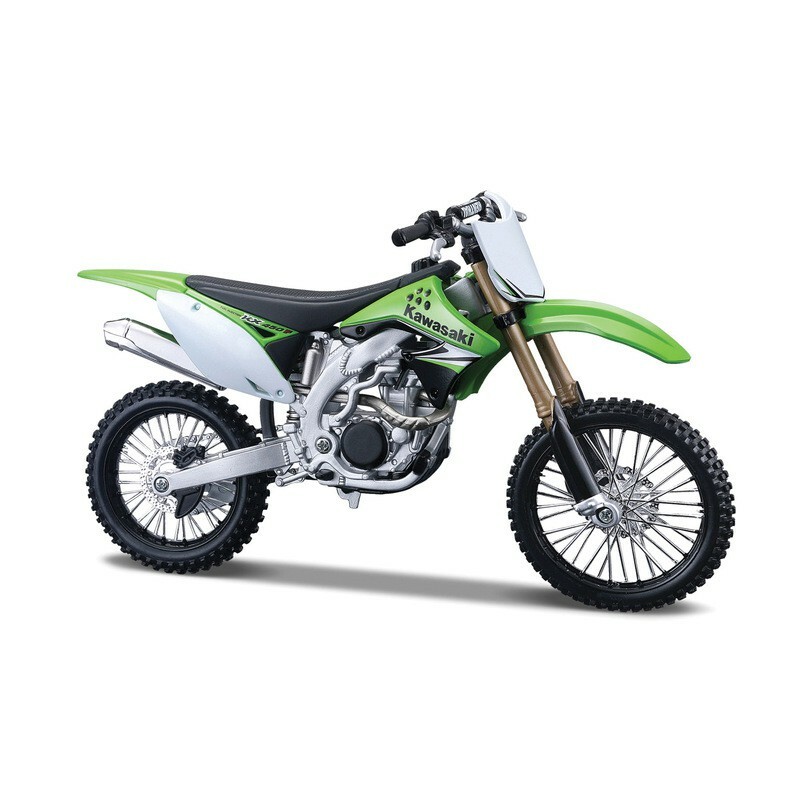 This highly detailed dirt bike model is packed with authentic features, with a green body and mud guard sitting atop the accurate engine replica.